Lauren Bacall was one of the sexiest and most elegant stars of the 1940s and 1950s. On screen, she was often seen in sharp little suits and slinky evening gowns – which still look utterly fabulous today. She was stunning at teaching Humphrey Bogart to whistle (“You just put your lips together and blow… “) in her debut movie To Have And Have Not, in 1944 when she was 19 years old. One of her favorite fashion designer seems to be the French “couturier” Franck Sorbier. We recognize her taste for the “bon goût”. 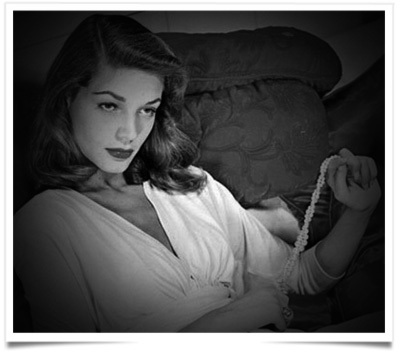 This entry was posted in BREAKING MODE, BREAKING NEWS and tagged Lauren Bacall, modeaparis, MODEPARIS by admin. Bookmark the permalink.